A number of powerful women have shaped the course of history with their intelligence, strength, passion, and leadership qualities. They have challenged the status quo, made lasting reforms, and many have presided over their countries for decades, ushering in prosperity and cultural revolutions. Women’s Day in South Africa pays homage to the women of our nation who fought against the Apartheid government. Celebrated since 1994, this public holiday commemorates a 1956 protest by members of the FSAW (Federation of South African Women). Some 20 000 women marched up to the Union Buildings in Pretoria to hand over petitions containing more than 100 000 signatures at Prime Minister J.G. Strijdom’s offices. The women stood outside in silence for 30 minutes. An inspiring display of political strength, the march on August 9 1956 is both a reminder of the great women who helped mould South Africa and the trailblazing women who continue to lead the country forward. Women’s Day in South Africa draws attention to many consequential issues women still face such as sexual harassment in the workplace, unequal pay and domestic violence to name a few. For years we have been striving towards gender equality and giving woman a seat at the table. Sadly women are always in a position where they constantly need to be proving themselves and prove their worth as well as their abilities to be career driven and manage a home. This special day, dedicated to women around the world, is a celebration of the great success of women across all spheres of life as well as shaping the future. The objective of Women’s Day is to express love and gratitude towards women’s’ contribution to our lives and society. Since those early years, International Women’s Day has assumed a new global dimension for women in developed and developing countries alike. The growing international women’s movement, which has been strengthened by four global United Nations women’s conferences, has helped make the commemoration a rallying point to build support for women’s rights and participation in the political and economic arena. Truthfully I think women are in general very strong albeit maybe not physically but don’t underestimate them. Their will and drive makes them powerful and not to be taken lightly when it comes to something they are passionate and invested in. Having this day to celebrate women is most certainly a great way to get people talking but it’s not enough, we need to strive to do better and be better so that the young female can be born into a world that affords her the same opportunities as her male counterparts. If there is a women in your life, be it your mum, sister, grandmother, aunt, wife, girlfriend or just a friend, take a minute to appreciate her, take a minute to acknowledge her and compliment her. She is strong and she is beautiful and she is what embodies love and these are things she should hear daily, not just on a special day. Empowering other women and uplifting them is a step in the right direction for us a nation to be able to provide a safer environment for our young women as well as a place where they are free to be women who can do anything and not be judged for it. This Women’s Day, let’s in-still in our little girls that they don’t need to be damsels in distress that need saving, they can be their own hero. They can be whatever they set their minds to, albeit it a doctor, a lawyer, a journalist, a sportswomen, a scientist, an astronaut or even an artist. Let us teach them to believe in themselves. And to our young men, we need to teach them to respect, encourage and love women. Lead by example, this is the best way to teach children, they tend to follow and do what it is they see and are exposed to. 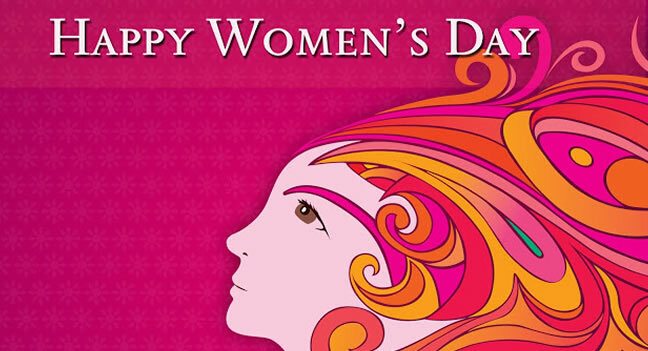 A very Happy Women’s Day to all Women!